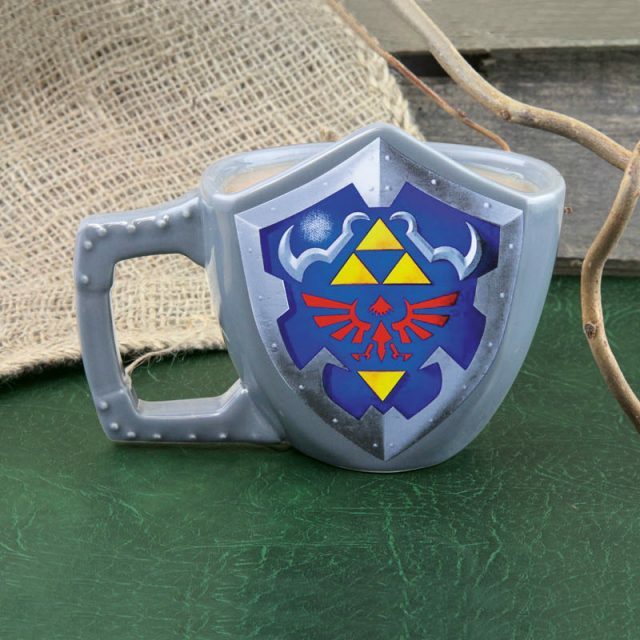 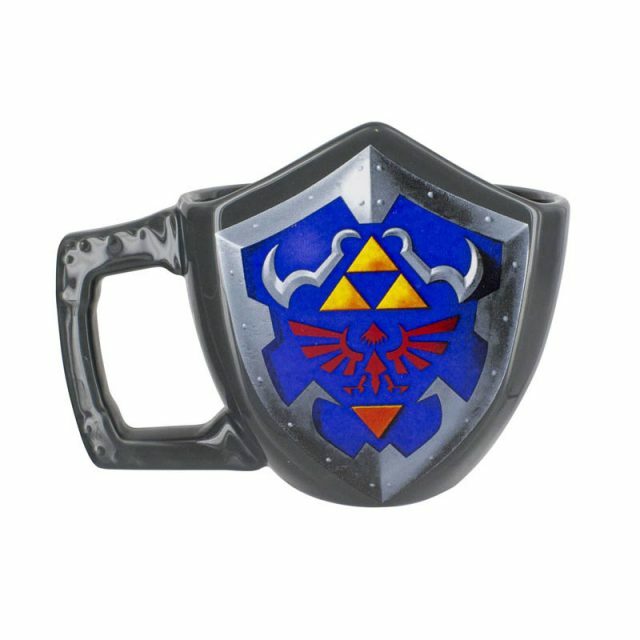 At 11.4cm tall (approx 4.5in) the Zelda Shield mug is a highly distinctive drinking mug. 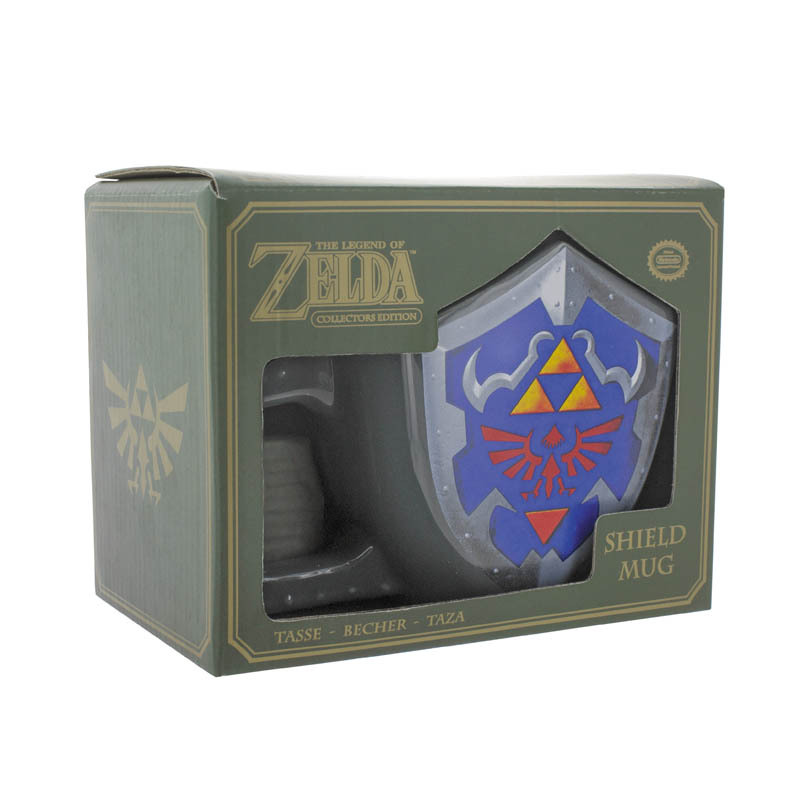 Inspired by Link’s Shield in the amazing Nintendo 64 The Legend of Zelda: Ocarina of Time. 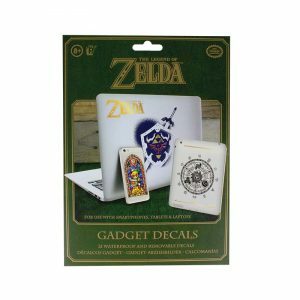 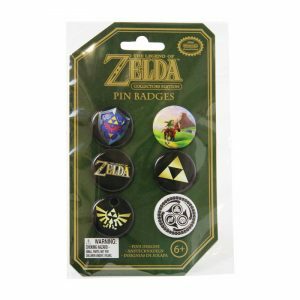 It features the famous Tri-Force logo as well as the Hyrule crest.